Michael Lemos Feliz...Has one son; Yeder Michael (3). Tied career high in appearances (also made 47 with Houston in 2016)...Was a member of an Opening Day roster for the third straight year - his first with the Pirates...Surrendered three hits and four runs without retiring a batter in his debut with the Pirates on Opening Day in Detroit on 3/30...Appeared in his 100th career Major League game on 4/1 at Detroit (game 1)... Made eight straight scoreless appearances (7.1ip) between 4/1-20...Was scored upon just twice in 21 games between 4/1 and 5/20 (20.0ip/2er - 0.90 ERA), dropping his ERA to a season-low 2.70...Was scored upon in his next four games (3.0ip/6h/9r/9er/4bb/3so), inflating ERA from 2.70 to 5.87...Was placed on the 10-day D.L. on 6/24 due to right shoulder inflammation...Was reinstated on 7/7... Threw a season-high 44 pitches in 1.1 innings on 7/14 vs. Milwaukee (game 2); also grounded out as a batter in his second career plate appearance...Was optioned to Triple-A Indianapolis on 7/27 and picked up the win in first game on 7/30 at Columbus...Gave up five runs in 1.0ip in his second game with Indy on 8/2 at Toledo...Tossed a scoreless inning and earned first save with Indianapolis on 8/4 at Toledo... Was recalled by the Pirates on 8/11...Did not pitch until 8/21 vs. Atlanta and gave up three runs in 1.0 inning of work... Was optioned back to Indianapolis on 8/22...Picked up his second Triple-A save in final game with Indy on 9/1 vs. Louisville...Was recalled on 9/4; went 1-0 with a 3.00 ERA (6.0ip/2er) in seven games during September...Had a 2.70 ERA (20.0ip/6er) in his first 22 games with the Pirates thru 5/20 and a 7.81 ERA (27.2ip/24er) in his last 25 games... Picked up his lone win in the final game of the season on 9/30 at Cincinnati; also struck out as a batter...Had a 10.38 strikeouts/per 9.0ip ratio. Was a member of Houston's Opening Day roster for the second straight season..Averaged 13.1 strikeouts per 9.0ip (70 K's in 48.0ip); the sixth-best ratio among American League relief pitchers with at least 45.0ip...Was on the Family Medical Emergency List from 5/5-9...Pitched in both games of a doubleheader on 5/14 at New York (AL); struck out the lone batter he faced in game one and struck out all four batters he faced in game two... Struck out as a batter in his first career plate appearance on 5/16 at Miami...Had 23 strikeouts in 14.2ip during the month of May...Posted a 2.10 ERA (25.2ip/6er) and 35 K's in his first 23 appearances thru 6/5...Won his first two decisions, extending his personal winning streak to nine games dating back to 2016...Suffered first loss on 6/11 vs. Los Angeles (AL)...Struck out multiple batters in six straight games between 5/31 and 6/13; the second-longest such streak of his career (seven games in 2016 from 7/13 to 8/9...gave up a season-high six runs in 2.0ip on 7/26 at Philadelphia...Was optioned to Double-A Corpus Christi on 7/26, but did not appear in a game...Was recalled on 7/31 and was placed on the disabled list on 8/1 with right shoulder discomfort... Made rehab appearances with Corpus Christi on 8/22 and Quad Cities on 9/4...Missed 33 days while on the D.L. before being reinstated on 9/8...Finished his season with two scoreless outings and five strikeouts (2.0ip) after giving up five runs in 0.1ip on 9/9 at Oakland. Was a dynamic member of the Astros bullpen, joining the upper echelon of strikeout pitchers in the American League, in what was his first full season in the Majors...established a new club record for a rookie relief pitcher in strikeouts per 9.0 innings ratio (13.15, 95SO/65IP), surpassing the record that was previously set by LHP Billy Wagner (11.67, 67SO/51.2IP) in 1996...fell two strikeouts shy of the club record for a rookie reliever held by RHP Brad Lidge (97 in 2003)...posted eight wins, which tied him for the second-highest total by a rookie reliever in club history with RHP Jim Dougherty (1995)...only one reliever in Astros history posted more wins in his rookie season: RHP Charlie Kerfeld (11 in 1986)...ranked fifth among all AL relievers in strikeouts (95) behind RHP Dellin Betances (126), LHP Andrew Miller (123), RHP Ken Giles (102) and RHP Mychal Givens (96)... ranked sixth among AL relievers in strikeouts per 9.0 innings (13.15)...finished the season tied for third among MLB relievers in wins (8)...marked the most relief wins by an Astro since RHP Mark Melancon had eight in 2011... closed out the season on a seven-game winning streak that began on May 24...was the sixth-longest streak by a reliever in club history, and the longest since RHP Todd Jones had an eight-game streak from June 11, 1994-June 3, 1995...was tied for the eighth-longest winning streak in the AL during the 2016 season...recorded at least three strikeouts in 15 relief outings, which tied him for the third-most in the Major Leagues...marked the most such games by an Astro since RHP Brad Lidge set the club record with 26 in 2004...went 6-0 with a 2.33 ERA (10ER/38.2IP), 64 strikeouts and just three walks in 27 appearances at home...marked the best singleseason strikeout-to-walk ratio at home (21.33) in club history (min. 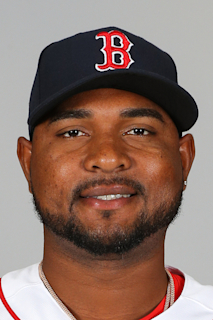 30IP)...made his first career Opening Day roster after a strong Spring Training (1-0, 1.72 ERA, 3ER/15.2IP, 16 SO)...was optioned to Triple A on April 7 and recalled back to Houston on April 25...optioned to Triple A on May 4 before receiving his final recall of the season on May 6...struggled in his first two outings of the season, allowing a combined 10 runs in 5.1 innings between his appearances on April 6 at NYY (6ER/4.1IP) and on April 26 at SEA (3ER/1IP)...was excellent over his final 45 outings of the season following those first two appearances, going 8-1 with a 3.47 ERA (23ER/59.2IP), 18 walks, 88 strikeouts and a .202 opponent batting average (44x218)...went 3-1 with a 0.54 ERA (1ER/16.2IP), 26 strikeouts, one walk and a .074 (4x54) opponent batting average in 10 appearances in May...set club records for opponent batting average, opponent OPS (.184), strikeouts per 9.0 innings (14.04) and strikeout-to-walk ratio (26.00) for a single month of May (min. 16IP)...struck out a career-high seven batters in 3.0 relief innings on July 2 vs. CWS...became the first Astros reliever to strike out seven batters in a game since RHP Tim Redding on Sept. 8, 2001 vs. MIL...also became the third reliever in club history to record seven strikeouts in 3.0 innings or less, joining LHP Billy Wagner (1996) and RHP Gene Pentz (1976)...set club rookie records for WHIP (1.05) and strikeouts per 9.0 (12.83) prior to the All-Star Break...his 57 strikeouts prior to the All-Star Break marked the most by an Astros reliever since RHP Brad Lidge recorded 58 in 2006...also marked the second-most strikeouts by an Astros rookie reliever prior to the All-Star Break, behind only Lidge's 62 strikeouts prior to the 2003 AllStar Break. In his age 22-year-old season, made his Major League debut with the Astros...pitched in ﬁve total Major League games, all in relief, while making 23 appearances (17 starts) between Double A Corpus Christi (15g) and Class A Advanced Lancaster (8g)...began the year at Lancaster after spending Spring Training with the Astros...promoted to Double A Corpus Christi on May 21 and then promoted to Houston for the ﬁrst time in his career on May 29...made his Major League debut on May 31 vs. CWS...pitched 1.0 scoreless inning, allowing only one hit with a strikeout...was one of four pitchers to make their Major League debut for the Astros in 2015, joining RHP Asher Wojciechowski, RHP Lance McCullers and RHP Vince Velasquez...optioned back to Double A on June 1...recalled for his second stint from June 28-July 1, but did not make an appearance...after pitching another two months at Corpus Christi, was recalled to Houston on Sept. 4, where he remained through the end of the season...was scoreless in his ﬁrst three Major League appearances (3.2IP), allowing only one hit in that span with four strikeouts...while with Corpus Christi and Lancaster in 2015, went 7-4 with a 2.83 ERA (35ER/111.1IP), 103 strikeouts and a .203 opp. avg...made his Double A debut on May 26 and from that date on, ﬁnished the season ranking among the top ﬁve Double A pitchers in ERA (5th, 2.17), opp. avg. (1st, .185) and WHIP (2nd, 0.92)...earned the Texas League Pitcher of the Week for the week of Aug. 3-9...tossed 13.0 scoreless frames with 13 strikeouts in two starts during the week. Began the season with the Gulf Coast League Astros...went 5-0 with a 1.64 ERA (7ER/38.1IP) in seven appearances (3 starts)...named GCL Astros pitcher of the Month for July, posting a 1.96 ERA (5ER/32.0IP) with 23 strikeouts and only four walks in four outings (2 starts)...was called up to Rookie Level Greeneville and made his first appearance in the Appalachian League on July 29...earned his first and only win with Greeneville in his last appearance on Aug. 28 vs. Bluefield...did not allow a run on three hits with five strikeouts in the start. Spent the entire season with the Gulf Coast League Astros and made 12 appearances (10 starts)...struck out 44 batters in 50.0 innings...tied a season-high in innings during his last outing, lasting 5.0 innings and tallying four strikeouts in his scoreless, final game of the season...2010: Was assigned to the Dominican Summer League Astros in the first campaign of his professional career...made three starts, tallying 13 strikeouts compared to three walks in 12.2 innings. March 21, 2019 Pittsburgh Pirates optioned RHP Michael Feliz to Indianapolis Indians. December 20, 2018 Tigres del Licey placed RHP Michael Feliz on the reserve list. November 26, 2018 RHP Michael Feliz assigned to Tigres del Licey. September 4, 2018 Pittsburgh Pirates recalled RHP Michael Feliz from Indianapolis Indians. August 23, 2018 Pittsburgh Pirates optioned RHP Michael Feliz to Indianapolis Indians. August 11, 2018 Pittsburgh Pirates recalled Michael Feliz from Indianapolis Indians. July 27, 2018 Pittsburgh Pirates optioned RHP Michael Feliz to Indianapolis Indians. July 7, 2018 Michael Feliz roster status changed by Pittsburgh Pirates. June 24, 2018 Pittsburgh Pirates placed RHP Michael Feliz on the 10-day disabled list. Right shoulder inflammation. January 13, 2018 Pittsburgh Pirates traded RHP Gerrit Cole to Houston Astros for 3B Colin Moran, LF Jason Martin, RHP Joe Musgrove and RHP Michael Feliz. November 2, 2017 Houston Astros activated RHP Michael Feliz. October 5, 2017 Houston Astros reassigned RHP Michael Feliz to the minor leagues. September 8, 2017 Houston Astros reassigned RHP Michael Feliz to the minor leagues. September 4, 2017 Houston Astros sent RHP Michael Feliz on a rehab assignment to Quad Cities River Bandits. August 24, 2017 Houston Astros sent RHP Michael Feliz on a rehab assignment to Fresno Grizzlies. August 22, 2017 Houston Astros sent RHP Michael Feliz on a rehab assignment to Corpus Christi Hooks. August 1, 2017 Houston Astros placed RHP Michael Feliz on the 10-day disabled list. Right shoulder discomfort. July 31, 2017 Houston Astros recalled RHP Michael Feliz from Corpus Christi Hooks. July 29, 2017 Corpus Christi Hooks placed RHP Michael Feliz on the temporarily inactive list. July 27, 2017 Houston Astros optioned RHP Michael Feliz to Corpus Christi Hooks. May 9, 2017 Michael Feliz roster status changed by Houston Astros. May 5, 2017 RHP Michael Feliz roster status changed by Houston Astros. May 6, 2016 Houston Astros recalled RHP Michael Feliz from Fresno Grizzlies. May 5, 2016 Houston Astros optioned RHP Michael Feliz to Fresno Grizzlies. April 25, 2016 Houston Astros recalled Michael Feliz from Fresno Grizzlies. April 7, 2016 Houston Astros optioned RHP Michael Feliz to Fresno Grizzlies. April 1, 2016 Houston Astros recalled Michael Feliz from Fresno Grizzlies. March 28, 2016 Houston Astros optioned RHP Michael Feliz to Fresno Grizzlies. October 15, 2015 Michael Feliz roster status changed by Houston Astros. October 6, 2015 Houston Astros reassigned RHP Michael Feliz to the minor leagues. September 4, 2015 Houston Astros recalled RHP Michael Feliz from Corpus Christi Hooks. August 16, 2015 Corpus Christi Hooks activated RHP Michael Feliz from the 7-day disabled list. August 11, 2015 Corpus Christi Hooks placed RHP Michael Feliz on the 7-day disabled list. July 2, 2015 Houston Astros optioned RHP Michael Feliz to Corpus Christi Hooks. June 28, 2015 Houston Astros recalled Michael Feliz from Corpus Christi Hooks. June 1, 2015 Houston Astros optioned RHP Michael Feliz to Corpus Christi Hooks. May 29, 2015 Houston Astros recalled Michael Feliz from Corpus Christi Hooks. May 21, 2015 RHP Michael Feliz assigned to Corpus Christi Hooks from Lancaster JetHawks. April 1, 2015 RHP Michael Feliz assigned to Lancaster JetHawks from Fresno Grizzlies. March 16, 2015 Houston Astros optioned RHP Michael Feliz to Fresno Grizzlies. November 20, 2014 Houston Astros selected the contract of Michael Feliz from Quad Cities River Bandits. May 8, 2014 Quad Cities River Bandits activated RHP Michael Feliz from the 7-day disabled list. April 27, 2014 Quad Cities River Bandits placed RHP Michael Feliz on the 7-day disabled list. April 2, 2014 RHP Michael Feliz assigned to Quad Cities River Bandits from Tri-City ValleyCats. June 17, 2013 RHP Michael Feliz assigned to Tri-City ValleyCats from Greeneville Astros. July 24, 2012 Michael Feliz assigned to Greeneville Astros from GCL Astros. June 17, 2011 Michael Feliz assigned to GCL Astros from DSL Astros. August 2, 2010 Michael Feliz roster status changed by DSL Astros. May 26, 2010 DSL Astros signed RHP Michael Feliz.